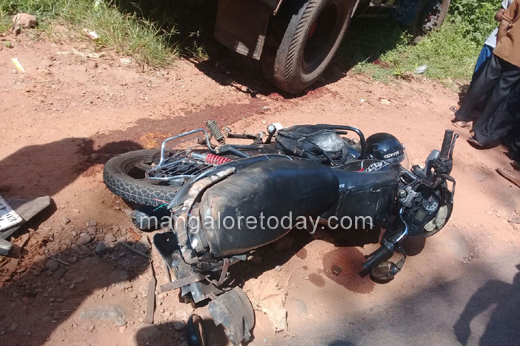 Vittla, Nov 29, 2017: An ex-serviceman who was riding a bike lost his life when his two-wheeler was hit by a lorry from the rear at Kashimutta on the outskirts of the town on November 29, Wednesday morning. The deceased has been identified as Venkappa Moolya, a resident of Angri near Kanyana. 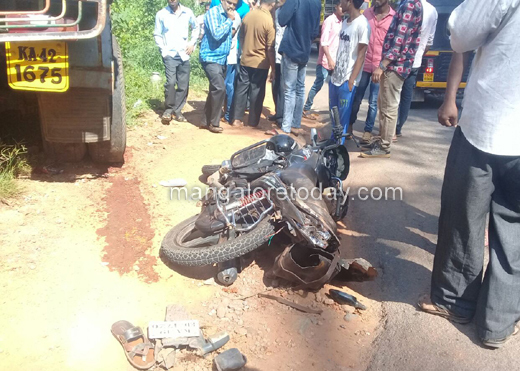 He was on way to Vittla from Ukkuda when tragedy struck. 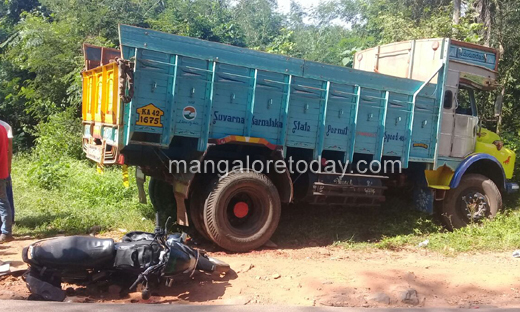 The lorry ran over Venkappa no sooner he fell on the road due to the impact of the collision. Though he was immediately rushed to the hospital, he breathed his last there. Venkappa who had served as a soldier in the Indian Army had retired from service four years ago. Vittla Police have registered a case.